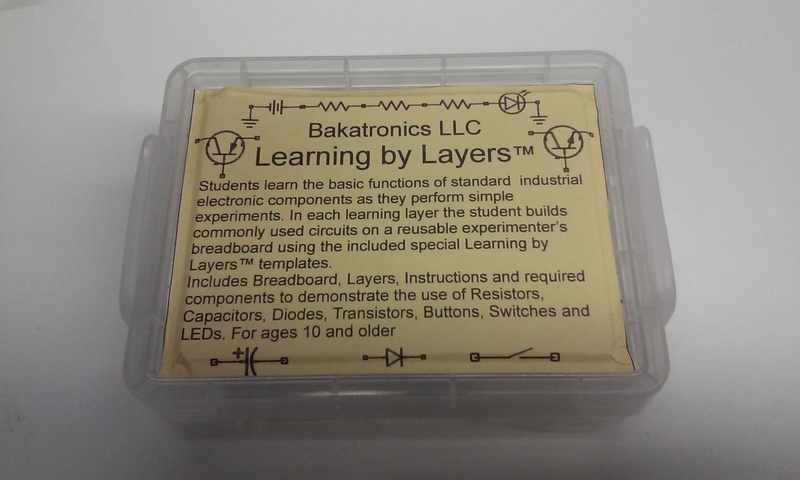 Learning by Layers is a hands on simple approach to learning about and using basic electronic components. Students learn by conducting experiments designed to demonstrate how Resistors, Capacitors, Diodes, LEDs and Transistors operate. In this course, we will learn the basics of electronic components and how they are used in everyday electronics. The main focus is to learn by doing with a hands on approach by building simple demonstration circuits for the most widely used electronic components, We will avoid using complex mathematics and calculations as they can easily be done with apps and online websites. We also avoid the use of tech instruments and use simple inexpensive LEDs for students to visually observe the results of their experiments. 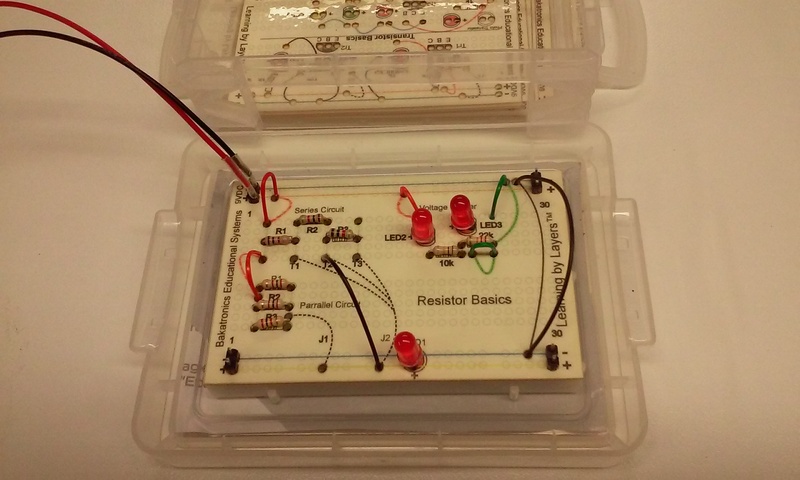 This course utilizes real industrial discrete components and a unique system of breadboarding layers allowing the ease of assembly and demonstration of electronic principles. As students build each successive layer, it builds on and incorporates the previous layer into the next layer’s lesson. At the end of the component learning layers, additional layers can be added to build more complex circuits. Educational Electronics Learning System and Kits.